Two Saturdays ago, I went to the Korean Cultural Center located at the Bonifacio Global City in Taguig for my Basic Korean Language class. I had been away for two weeks because of sore eyes and was excited to come back because not only did I want to attend my class but because I also wanted to see the new exhibit that was displayed. 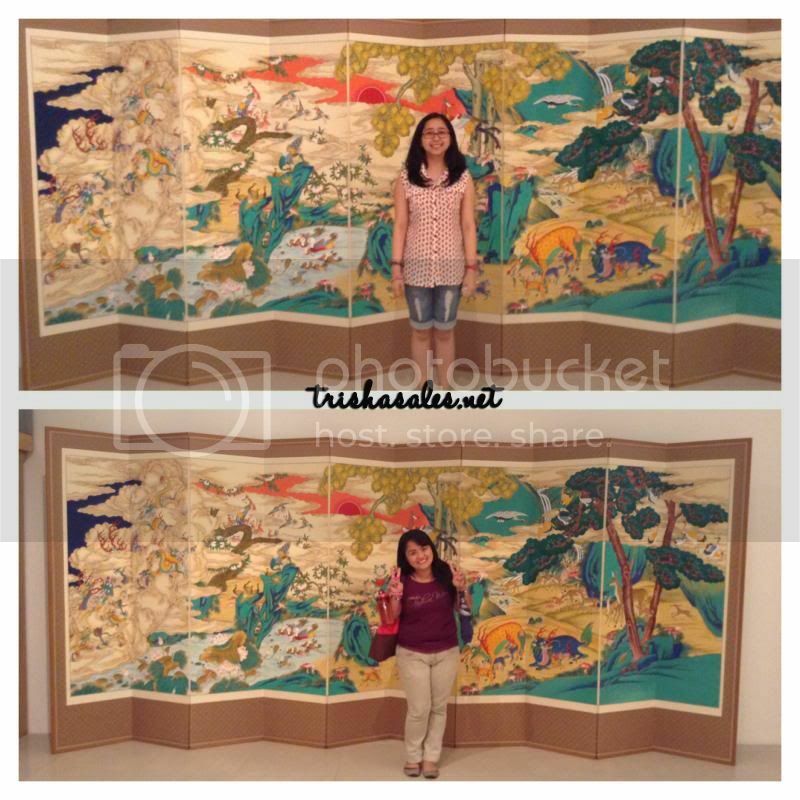 Me and Sai with the exhibit’s informative display. 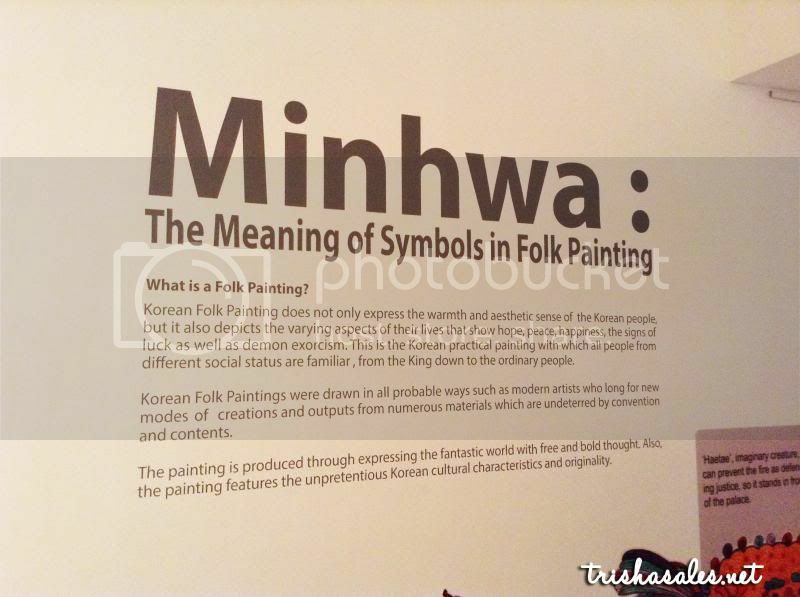 The Korean Cultural Center launched the Minhwa Exhibit last March 8, 2013 and will be displayed until April 30, 2013. 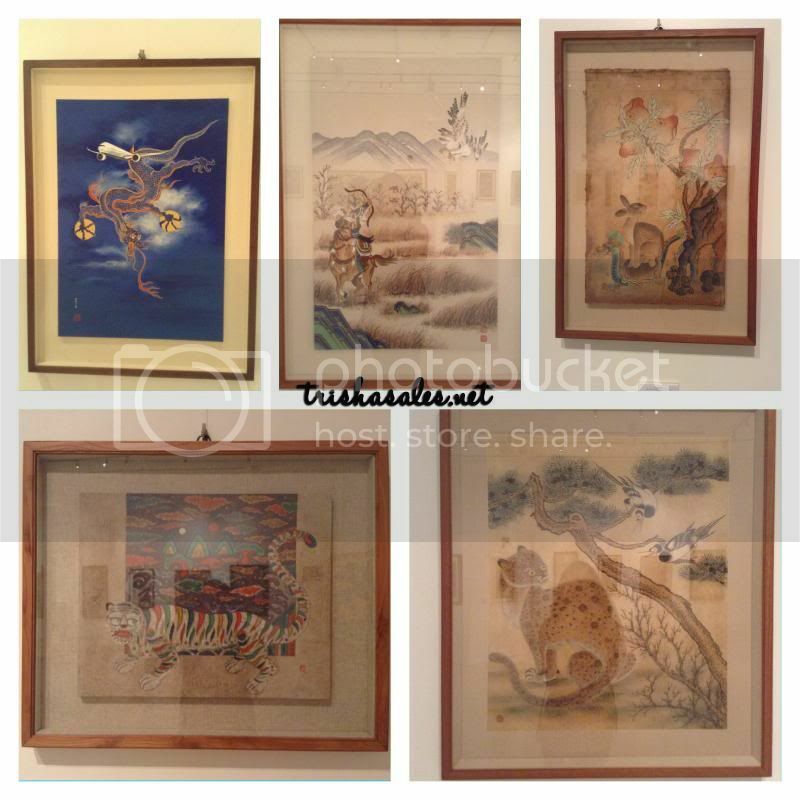 Minhwa (민화) refers to Korean folk painting that usually comprises of mythical creatures as well as other animals or objects that could depict the varying aspects of their lives. Some paintings show mythology and legends, while some show scenes of every day life. There were even some that show symbols of peace and happiness as well as wealth and health. 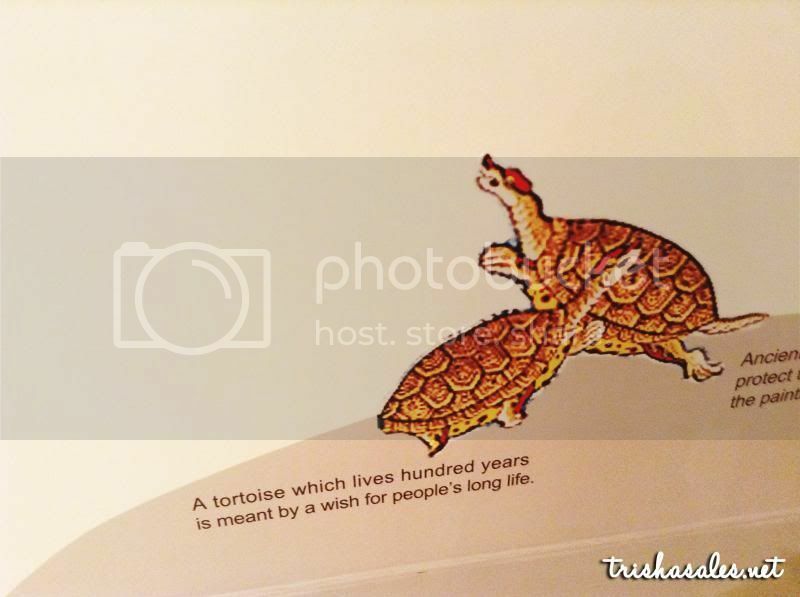 Text: A tortoise which lives hundred years is meant by a wish for people’s long life. Text (Top): ‘Haetae’, imaginary creature, can prevent the fire as defending justice, so it stands in front of the palace. 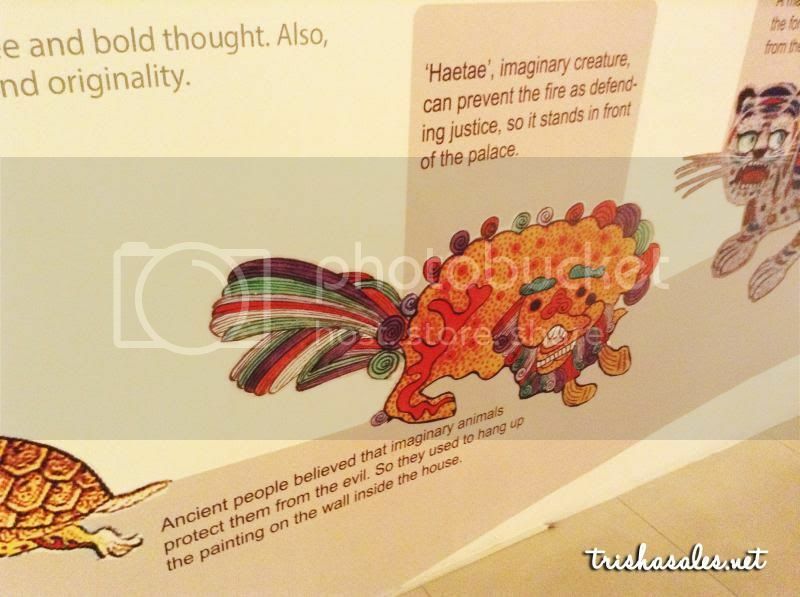 Text (Bottom): Ancient people believed that imaginary animals protect them from the evil. So they used to hang up the painting on the wall inside the house. Text: A magpie is a lucky bird that brings good news; a messenger of the fortune. 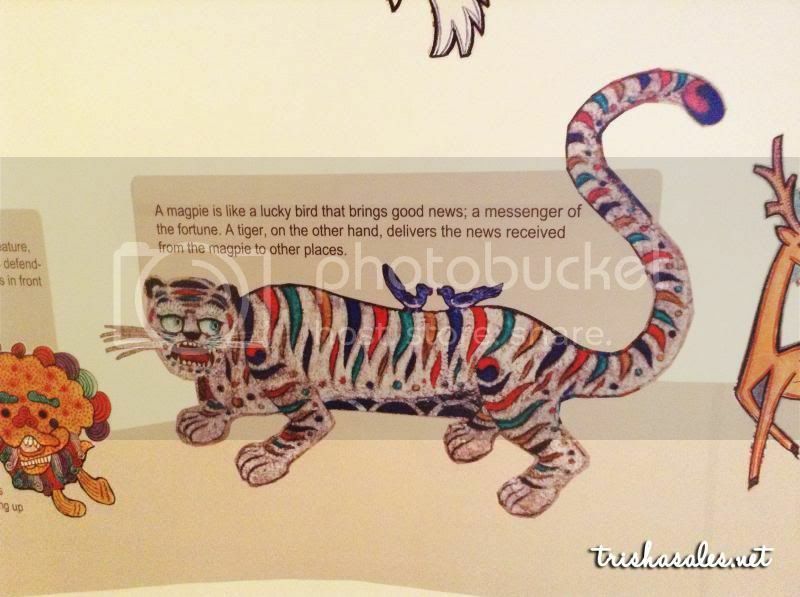 A tiger, on the other hand, delivers the news received from the magpie to other places. 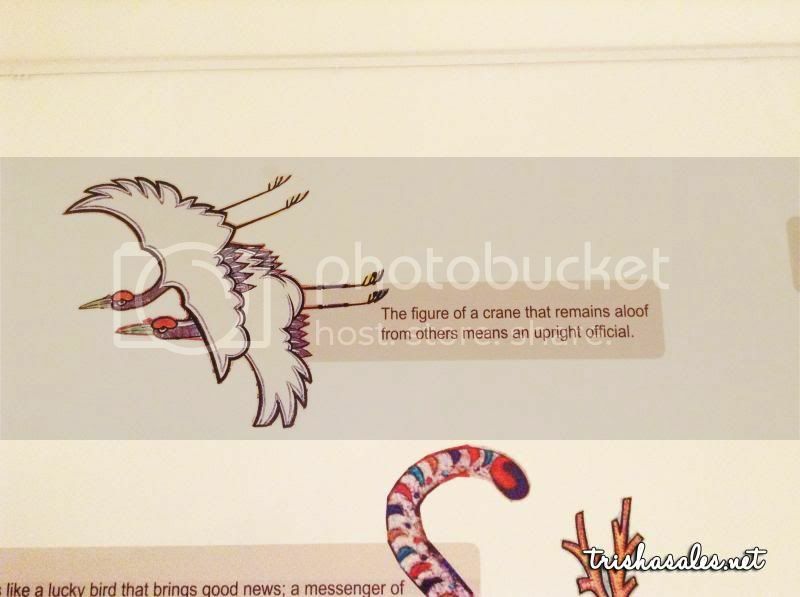 Text: The figure of a crane that remains aloof from others means an upright official. 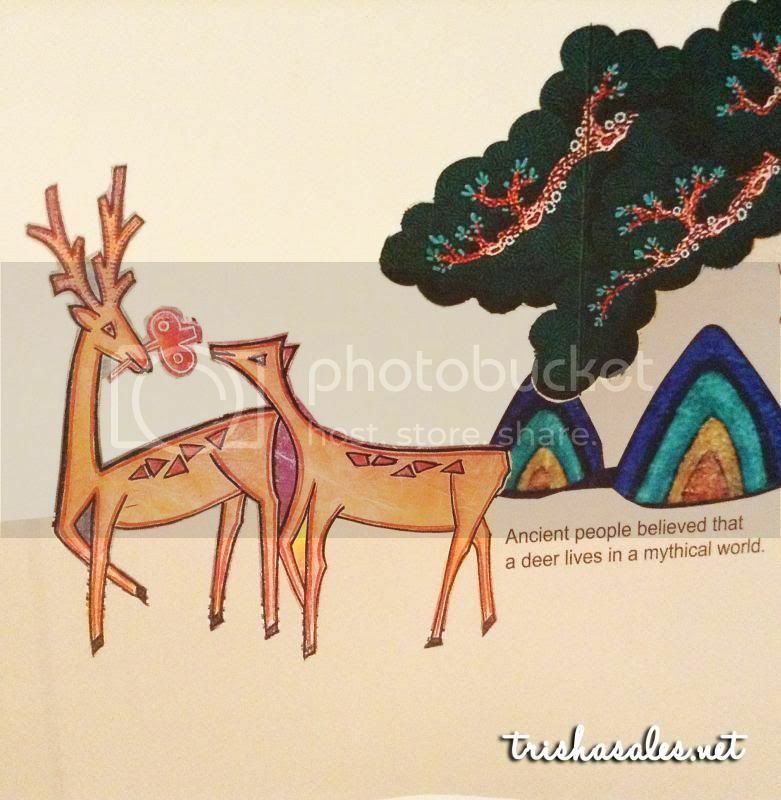 Text: Ancient people believed that a deer lives in a mythical world. Text (Top): Long life has been a wish since a long time ago. People put this wish into painting with using a tortoise, pine, bamboo, deer, crane, stone, water, cloud, elixir plant (Bulrocho), and the sun. 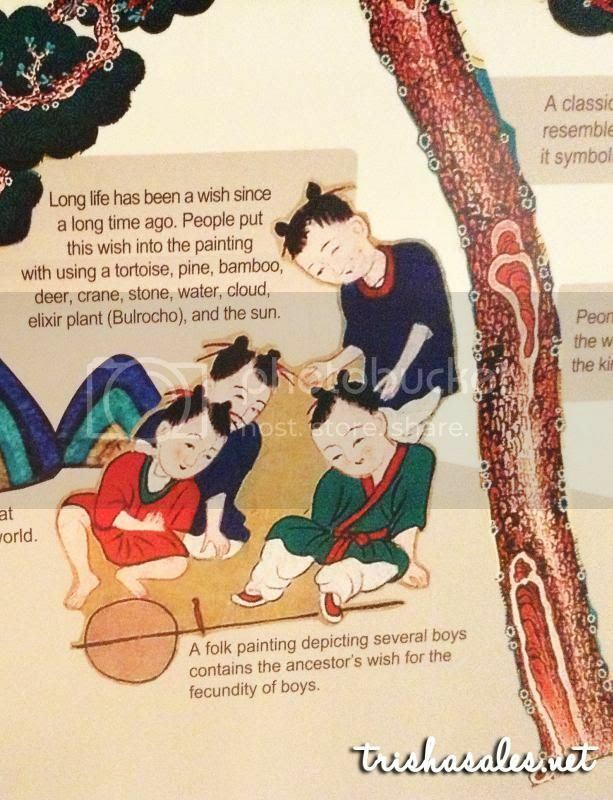 Text (Bottom): A folk painting depicting several boys contains the ancestor’s wish for the fecundity of the boys. 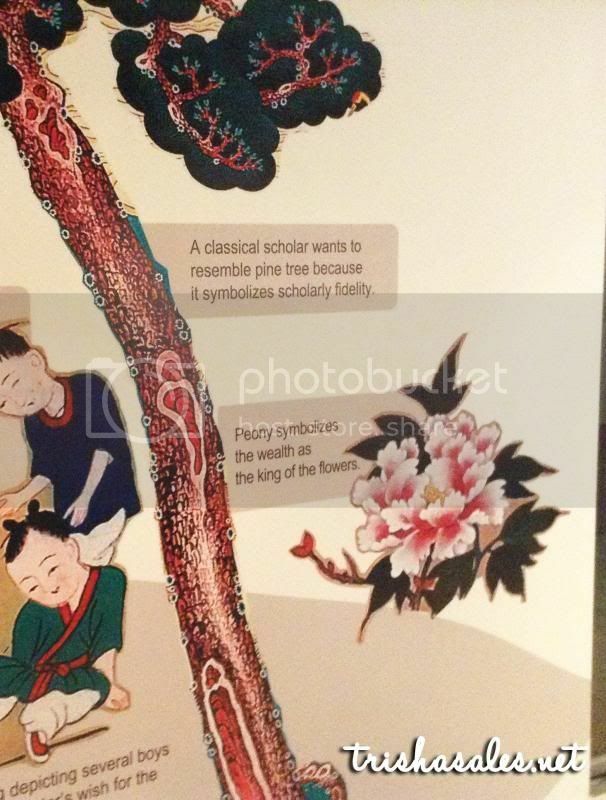 Text (Top): A classical scholar wants to resemble pine tree because it symbolizes scholarly fidelity. 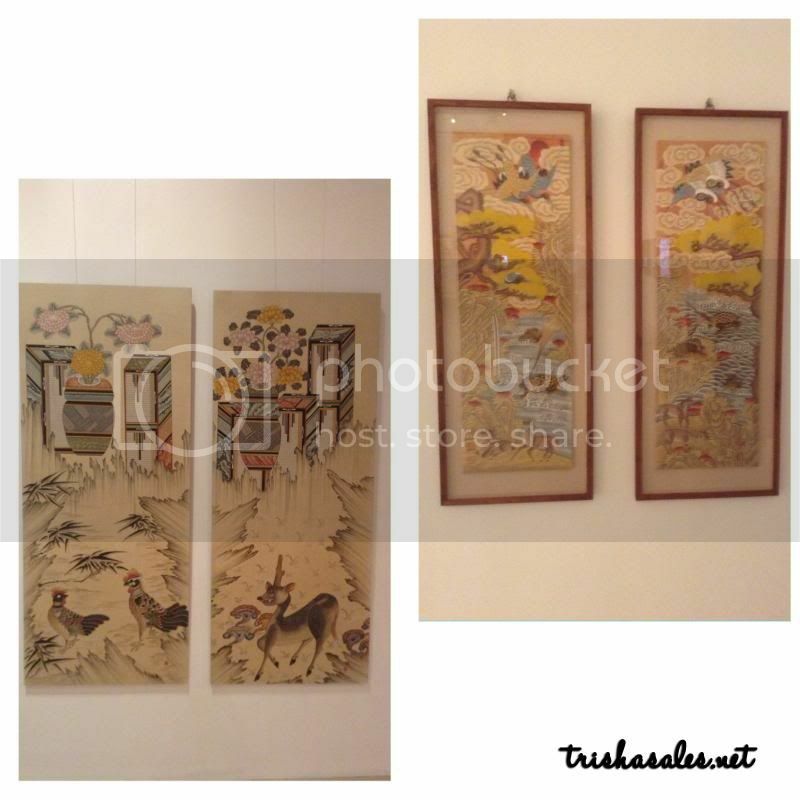 The Association of Korean Folk Painting Artists as well as eight artists (Kim Sang Cheol, Lee Mun Song, Lee Jung Dong, Eom Jae Kwon, Song Chang Soo, Youn In Soo, Keum Goang Bok, and Noh Yong Sik) participated in this particular exhibit. 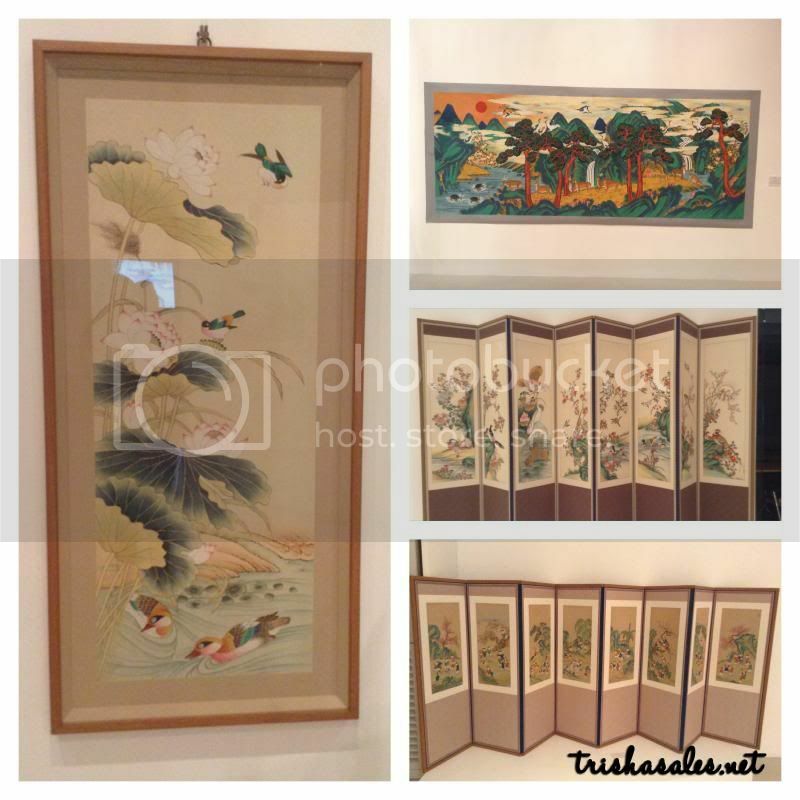 The Director at KCC Philippines, Mr. HWang Seong Un, hoped that this exhibit would serve as a gateway for other forms of Korean art to be introduced to the Filipino consciousness and to be able to facilitate a cultural exchange between Korea and the Philippines. 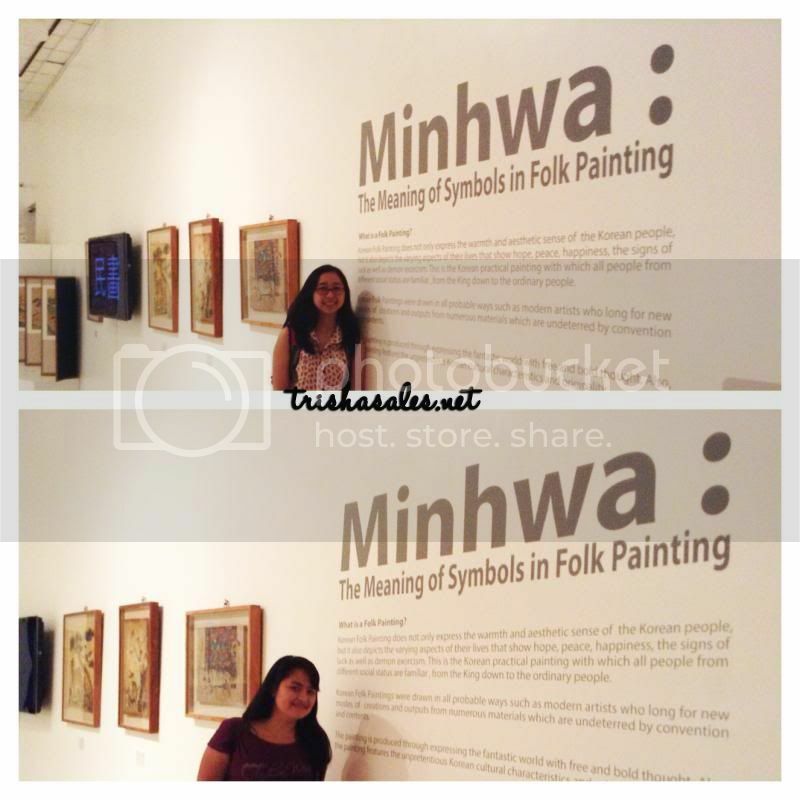 The Minhwa pieces on display were also meant to encourage both the Korean and Filipino people to get to know their respective cultural identities. 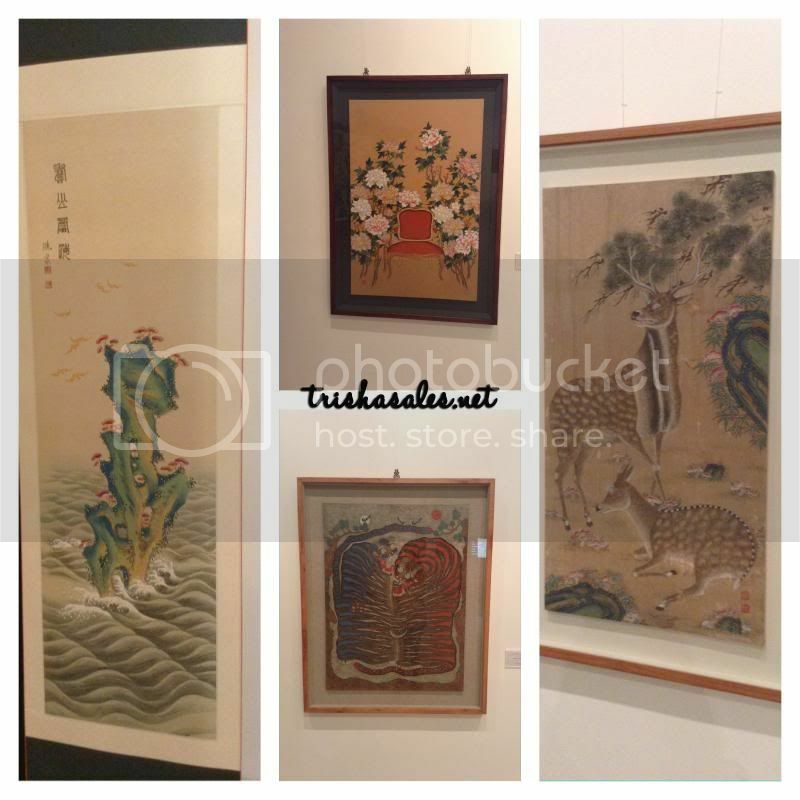 The paintings on display were absolutely breathtaking. If you’ve seen it for yourselves you’d be amazed at how detailed and colorful the pieces are. Some of them look as if they were printed pieces from afar! I would totally recommend seeing it because not only are the artworks amazing, visiting the exhibit is also totally free! Wow. This looks like it was an interesting exhibit. 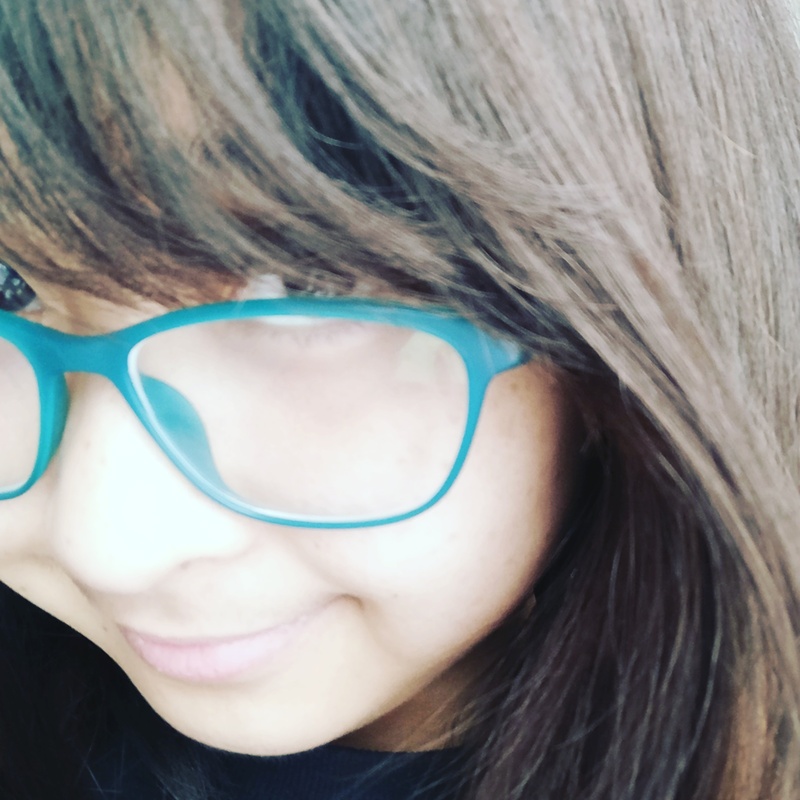 It’s cool that you have a Korean cultural center near you.